Above: The Osprey Waters charity home. 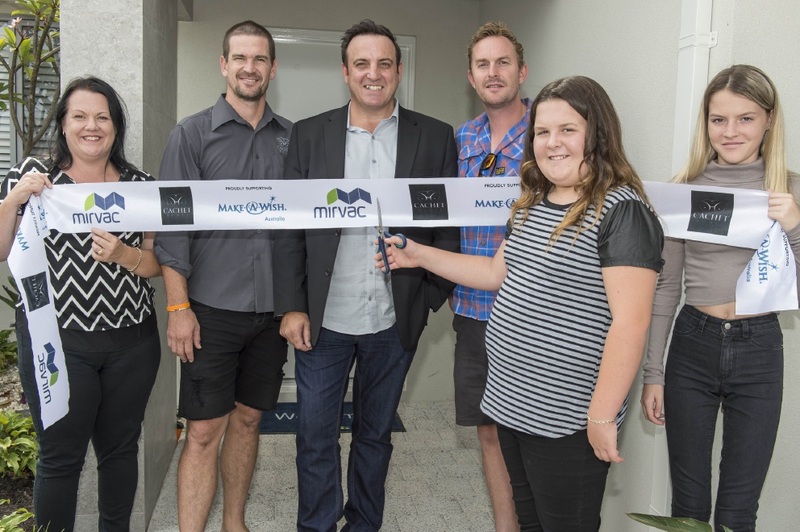 Below: Kelly Collins, Cliff Kearns and Chris Lillis of Cachet Homes, Scott Hine from Make-a-Wish Australia, Brianna Collins and sister Haylee. As a Make-A-Wish recipient, Mandurah girl Brianna Collins is excited to be involved with the auction. She was diagnosed with cystic fibrosis and her wish to go on a Cairns adventure, that included transport to the airport in a pink Hummer, recently came true. Brianna now selflessly dedicates her time to fundraising and creating awareness about her illness and helping various charities. She is helping with the auction to help more children with life-threatening medical conditions receive life-changing wishes. 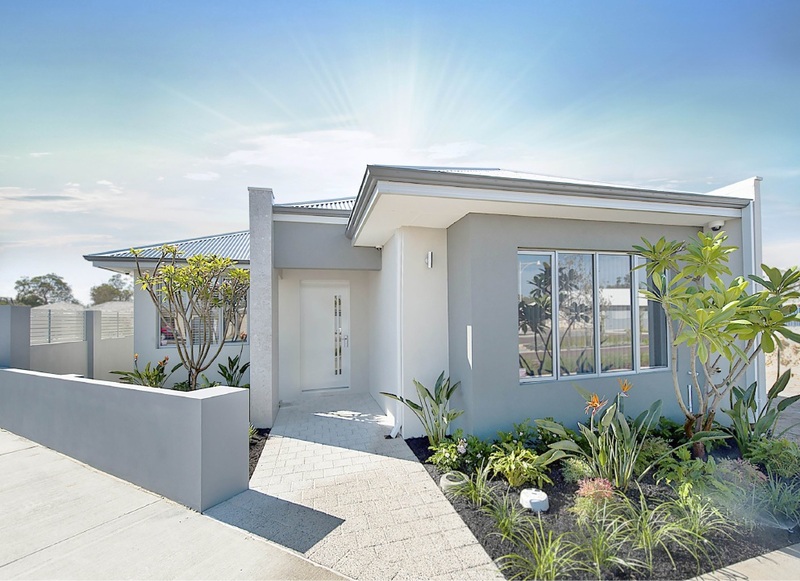 The custom-designed three-bedroom, two-bathroom home is just a short stroll from Peel Inlet, hectares of landscaped parkland, playgrounds and foreshore reserve. The contemporary single- storey home includes a master bedroom and ensuite, two spacious bedrooms and main bathroom, large study, laundry, double garage and large open-plan living area with dining and kitchen opening to an alfresco area. Osprey Waters includes 470 homes on the banks of Peel Inlet and is designed to connect residents with the water. The reserve price is $350,000. Cachet Homes director Cliff Kearns said the home incorporated the best of their award-|winning designs and quality craftsmanship. Make-A-Wish Australia chief executive Gerard Menses said as an organisation funded solely by donations, the support from Mirvac and Cachet Homes would go a long way in helping grant 200 wishes a year in the next 10 years. The charity home is open for viewing on Saturdays and Sundays between 1pm and 2pm and Mondays from 5pm and 6pm until the auction.